The mission of the Whitehall Education Foundation is to support quality education and excellence in Whitehall City Schools. 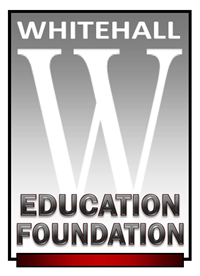 The Whitehall Education Foundation is a 501(c)(3) non-profit organization, established in 2004 for the purpose of supporting the mission, vision, and goals of Whitehall City Schools. The Foundation provides supplemental support to both students and staff by awarding grants and scholarships, funding school improvement initiatives, and leveraging community resources to improve public education at Whitehall City Schools. The Whitehall community and alumni of Whitehall-Yearling High School are bound by a legacy of pride that is supported by family, friends, and the enriching tradtions and developments within our city. As the community prospers, the Whitehall Education Foundation provides a simple pathway in which we all can enhance the educational advancements for students and teachers for generations to come. We strive to raise funds through estate giving, fundraising efforts, and individual contributions that support classroom grants for instructional needs, as well as student scholarships. Additionally, the Whitehall Education Foundation hosts an Annual Scholarship Golf Scramble that unites many alumni, local businesses, and community leaders for an exciting day of golf, food, and fun while raising funds to support its mission. Annually, a community member is also saluted for their support of students and honored as a "Living Legend." To date, notable recipients have been: Monica Day, Domenik Hixon, Judyth Dobbert-Meloy, Phil Allen, Amalee Soteriades, Kim Maggard, and Dr. Augustus Parker III. Through significant funding that has been raised, the Whitehall Education Foundation is able to provide assistance to educators in the district through classroom grants. Mini-grants are small funding opportunities for classroom-based activities and needs for the academic year. For over five years, teachers have been provided a wide range of support for their classroom instructional needs such as: science and math enrichment, mentoring and tutoring support, advancements in classroom technology, and other areas. The Whitehall Education Foundation has also been able to provide assistance to graduating seniors from Whitehall-Yearling High School. The purpose of the scholarship funds are to support the student's needs during their first year of college. Scholarship recipients must meet criteria based upon academic achievement, financial need, and college interest.